How much is David Seaman Worth? David Seaman net worth: David Seaman is an English former professional soccer (football) player who has a net worth of $14 Million. 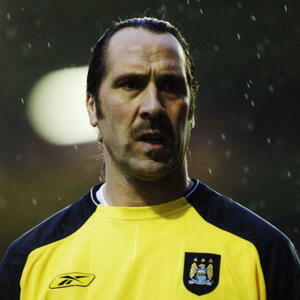 David Seaman was born in Rotherham, England, and played for Leeds United at the beginning of his career. He began to gain wider notice while playing for Peterborough United in the early 80s. He then played for Birmingham City and the Queens Park Rangers, before signing with Arsenal in 1990. It was clear from his first season with Arsenal that the decision to sign him was a good one. He played 38 games as Arsenal's goalkeeper his first season, and only conceded 18 goals. He played well for Arsenal for the next ten years. His last few years of play with Arsenal were marred by injuries, and he saw less time on the field. When he was able to play, he was his characteristically excellent self. In 2003, he was let go by Arsenal and signed with Manchester United. Again, injuries sidelined him almost immediately, and he announced his retirement in early 2004.